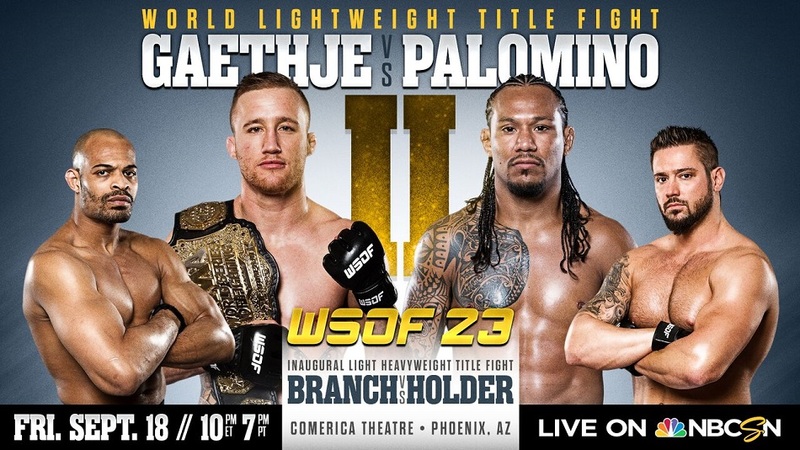 World Series of Fighting hosted WSOF 23 tonight at Comerica Theatre in Phoenix, Arizona. 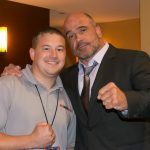 We hosted a live stream of the preliminary card here at MyMMANews.com before the main card switched to NBCSN at 10 p.m. EST. Prelims began at 7 p.m. EST. The card was headlined by a lightweight title matchup between champion Justin Gaethje and challenger Luis Palomino. The fight was a rematch as the undefeated Gaethje defeated Palomino back in March. This bout would go in the favor of Palomino early and it looked as if we would have a new champion, however Gaethje turned things around and was able to TKO his opponent in the second round. Both fights are possible fight of the year candidates. Also on the card, the first ever WSOF light heavyweight title holder was decided as the current middleweight champ David Branch took on Teddy Holder in the finals of the tournament. Branch submitted Holder in the very first round to become a champion in two divisions. Brian Foster set the pace for the main card with a quick knockout victory in the very first round over LaRue Burley.